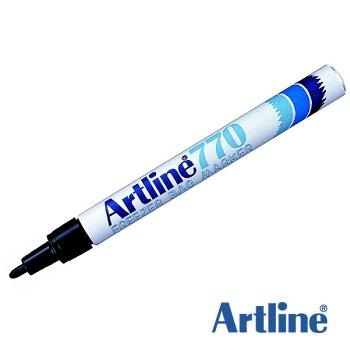 The ink in the Artline 750 will withstand repeated washing with detergents, hot & cold water and is resistant to dry cleaning. Ideal for marking any type of cloth, linen and clothing. Xylene Free. Fast-drying waterproof ink. 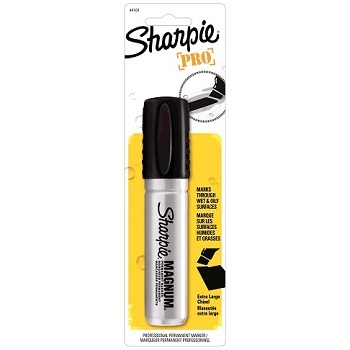 Fine Bullet tip 0.7 mm line width permanent markers. 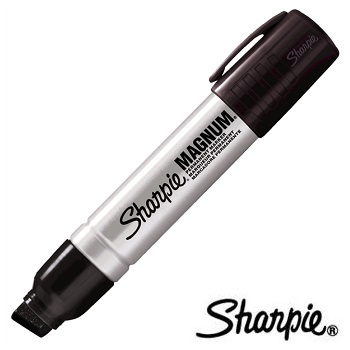 Individual shrink wrapped marker. Black ink. Price each - Order 12 to receive one box. 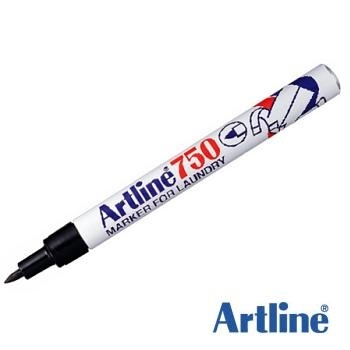 The Artline 770 marker is suitable for use on all plastic surfaces, especially frozen food packages. Xylene Free. Instant drying. Cuts through greasy surfaces for clear marking. 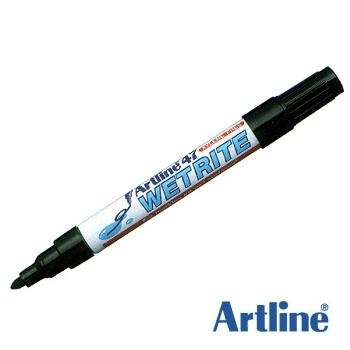 Fine Bullet tip 1.0 mm line width permanent markers. The alcohol based ink in the Artline 780 is water resistant making it ideal for use indoors and outdoors. Suitable for marking plastic pot containers, labels/tags, metal, glass and wood. Xylene Free. UV Resistant. Fast-drying waterproof ink. 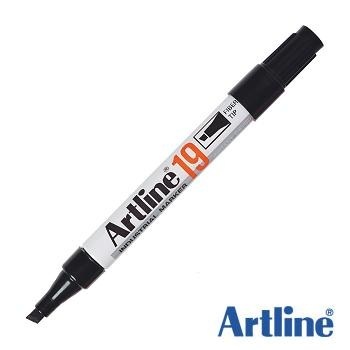 Fine Bullet tip 0.8 mm line width permanent markers. Convenient Dual Tipped Media Marker with soft tip ensures no scratching on CDs and DVDs. Quick drying, smudge resistant Ethyl alcohol-based Dyestuff Ink. Dual bullet tipped (micro 0.4 mm and broad 0.9 mm) permanent media markers. Individual marker on blister card. Black ink. Suitable for use on plastic, metal, glass, wood and most other materials. Water and light resistant. 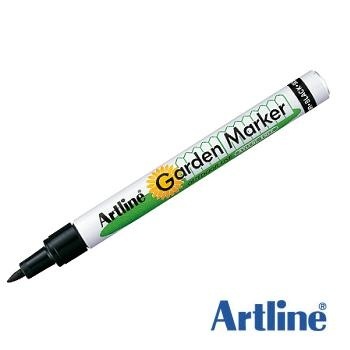 The ink in industrial markers contains xylene - ideal for greasy surfaces. 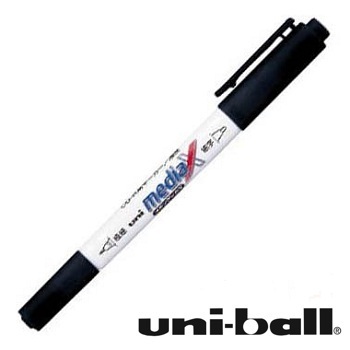 Medium Bullet tip 1.5 mm line width permanent markers. Aluminium barrel. Box of 12 markers. Colour - Black. Medium Chisel tip dual line width (2.0 - 5.0 mm) permanent markers. Aluminium barrel. Ideal for use on wet non-porous surfaces such as plastic, metal, styrofoam etc. Xylene Free. Instant drying permanent ink as soon as it is exposed to air. Features an extra wide, durable wool felt tip and aluminium barrel designed for use under demanding conditions. Extra Wide 15.0 mm chisel tip permanent marker with pocket clip for convenience.